Auto Select offers financing thru our related Finance Company Quality Acceptance Corp. We are truly a buy here pay here company. We do not sell your car loan to other companies. You buy your auto here and make your payments here. We have finance rates and terms for everyone whether you have a good Credit rating, average credit rating or a poor credit rating. Your employment history, and residence history are more important than your credit score. We finance with previous repossessions, foreclosures, and even bankruptcy. Auto Select understands that bad things can happen to good people and we have a solution that will help get you into that Car, Truck, Van or SUV that best suits your needs! We report your good payment history to Equifax. We provide all the services you would expect from a larger finance company, such as drive thru service, electronic autopayments, phone in payments, and online payments. A wide range of inventory. Trucks, Vans and SUV's always in stock! Our buyers research the most popular reliable and dependable vehicles based on over 30 years of buying experience. We service what we sell. Our customers get FREE Lucas oil and filter changes every 90 days for the life of their loan. Our Sales and Service associates, and Managers have the highest integrity with many years of experience! 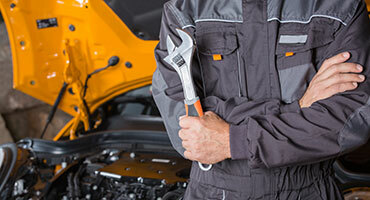 An onsite full repair facility that offers our customers reduced labor and parts rates. Free 90 Day Limited power train Warranties on most cars with extended maintenance and warranty agreements available! 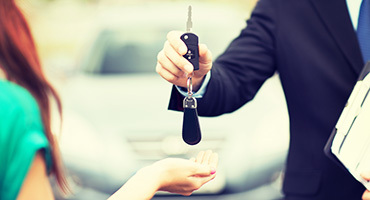 We have an associated auto rental company, Sensible Rental that offers reduced rental rates, and a rental plan when you need overnight service. Come find out why Auto Select is Voted year after year St Augustine's best independent Hometown Auto Dealer. Auto Select understands that purchasing a pre-owned vehicle can be a scary process, often the mechanical condition as well as critical safety items can be overlooked. However we strive to eliminate much of the anxiety associated with the unknown. Our Experienced technicians perform service on our Cars, Trucks, Vans and SUV's before they are offered for sale. Most vehicles come with a 90 Day Limited power train Warranty to help you feel more confident in choosing Auto Select. In addition to our used car service we also have a full service Detail Department to help make that new-to-you vehicle look as good and fresh as possible! 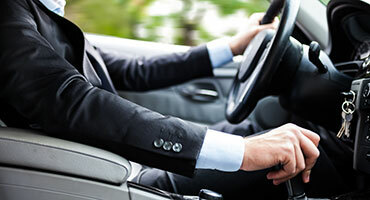 Auto Select, Reliable autos for your transportation needs...Since 1991! Auto Select is in the people business, never seen a car come into our dealership and buy itself. We offer great finance deals on pre-owned vehicles in the St Johns County and St Augustine areas. Whether you're looking for a SUV, Car, Truck or Van or any other used Vehicle, you're sure to find a model that suits your needs and budget in our Inventory. If we don’t have what you need we will get it! Our Used Cars, Trucks, vans and SUVs have been carefully selected from New Car dealer trades, and we run a Carfax before we purchase. Why not take a moment to browse through them? We're happy to arrange a test drive or get you a great quote on one of the vehicles you see below. Your next car, truck, SUV or van purchase is right here at Auto Select!